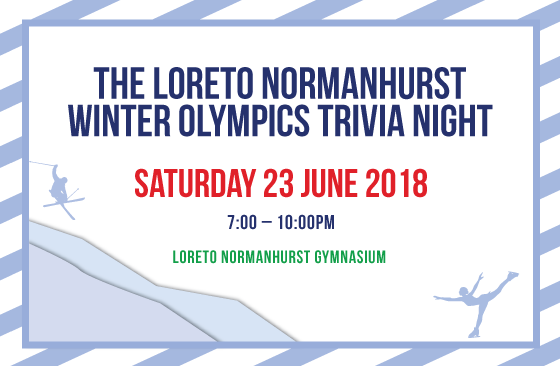 We are looking forward to the Winter Olympics Trivia Night tomorrow evening. Luckily the theme allows us to dress up warmly in this cold weather! We would like to thank everyone who has been helping prepare this event as well as to the following families who have generously contributed to the raffle by donating fabulous prizes: Kim & Peter Earle, Sarah Hudson-Calleja & Louis Calleja, Richard & Joanne Zalm, Ian & Lisa Creak, and Peter & Anita Bentley. There are still places available for last minute bookings. The registration link will be open until midnight tonight (Friday) – see further details below in the Events section. We look forward to seeing all the fantastic and creative costumes tomorrow night! The City/Country Mothers’ Weekend is coming up in August and we’ve had a fantastic response for this event. It promises to be a fun weekend to relax, catch up with friends and meet new ones as well. See below for more details about this great weekend away for mums. If you have any questions about PAL please contact us via email – we would love to hear from you! The time has arrived, the stage is set for the Winter Olympics Trivia showdown tomorrow night! We look forward to seeing parents dressed in their winter Olympics finest on what should be a fantastic night. There is still time to book tickets if you want to come along and join in on the fun – tickets will be available until midnight tonight. Where will your team finish? See you tomorrow night! All Year 10 parents are warmly invited to join friends and fellow Year 10 parents for a two-course dinner at the Pennant Hills Golf Club while their daughters attend the Dinner Dance. Time to change the ‘pencilled in’ diary note to the bold black ink entry as we are off to the Southern Highlands! Open fires, mulled wine, hot chocolate…and that’s just the beginning. Casual drinks and dinner Friday night followed by a sleep-in Saturday (I’m in already!) Then wander through Bowral and the surrounding areas to enjoy the local markets, antique and homewares stores with perhaps with a nicely brewed coffee in hand. After a leisurely morning, we will come together for a country pub lunch in nearby Burrawang. By late afternoon you might want to curl up in front of a fire with a good book for an hour or two or sneak in a nap at your chosen accommodation venue before enjoying a delicious three-course dinner. After all that activity, a sleep-in is definitely in order again on Sunday (do we have to go back home?). Then there’s the option of a casual brunch/lunch for those interested at a local vineyard before we farewell the Southern Highlands to meander back to Sydney to the real world…until next time. We need to confirm numbers now to lock in our various venues. If you are definitely joining us – and we hope you are – please use the link below to register your commitment and pay a $50.00 holding deposit that will be deducted from the overall expenses for the weekend. Contact either Louise Wytenburg or Sue Whipps for more details. Please join us for this special event for Loreto Normanhurst fathers and daughters. Tickets for this event are limited so get in early to avoid disappointment! The evening is always a fun with plenty of dad dancing , laughter and fantastic prizes in the raffle! Look forward to seeing you there!